Standard homeowner and renter insurance policies include coverage for personal items, such as jewelry. However, many policies limit the dollar amount for theft of valuable personal possessions such as jewelry, furs, and precious stones from $1,000 to $2,000 total. To properly insure jewelry and other expensive items, consider purchasing additional coverage through a floater or an endorsement. In most cases, you would also be covered for what insurance companies term “mysterious disappearance.” This means that if your ring falls off your finger or is lost, you would be financially protected. The structure of your home. You need enough insurance to cover the cost of rebuilding your home at current construction costs. Don't include the cost of the land, and don't base your rebuilding costs on the price you paid for your home. For an estimate of the amount of insurance you need, contact your insurance agent. 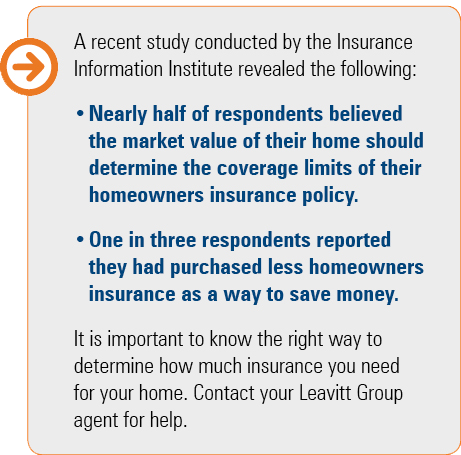 Your agent will have tools available to provide you with an estimate in order to make sure your home is properly insured. Additional living expenses. This coverage is for the cost of additional living expenses if your home is damaged and you have to live elsewhere during repairs. 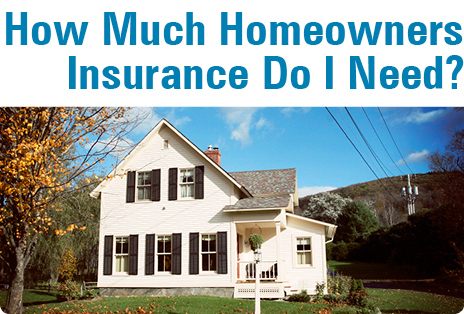 This is a very important feature of a standard homeowners insurance policy. This pays the additional costs of temporarily living away from your home if you can't live in it due to a fire, severe storm, or other insured disaster. It covers hotel bills, restaurant meals, and other living expenses incurred while your home is being rebuilt. Liability to others. This part of your policy covers you against lawsuits for bodily injury or property damage that you or family members cause to other people. It also pays for injuries to others caused by pets. It pays for both legal defense costs and any damages a court rules you must pay.